As a multirole fighter, the F-16C can be equipped with a variety of different attachments on each of its nine hardpoints. Weapon and fuel attachments can be catered to fit mission specifications. 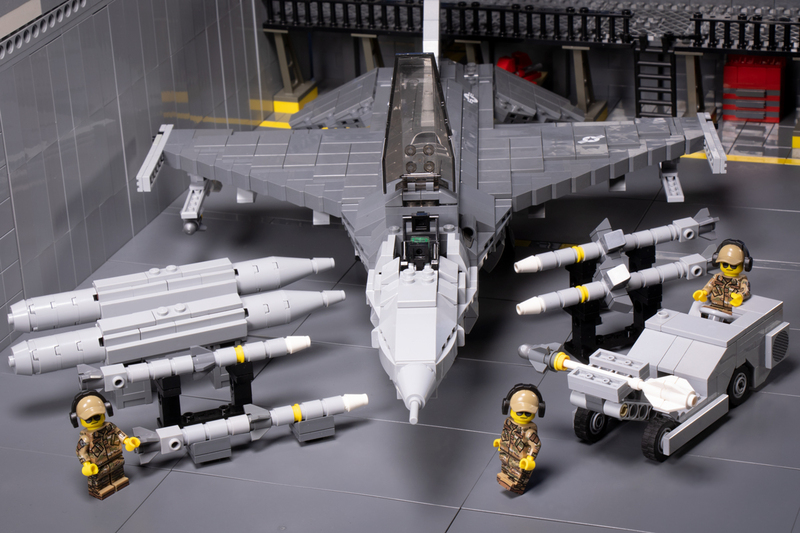 Outfit your F-16C Fighting Falcon with this Load Outs pack from Brickmania! The pack includes several different weapons including two Sidewinders, two Sparrows, and two AMRAAM missiles, plus two external drop tanks for extra fuel on long flights.